I enjoy neo soul about as much as I dig smooth jazz, which is to say I'm not a fan. To my ears, most of it sounds like watered down versions of the real stuff from days gone by. Hiatus Kaiyote have coined their sound "future soul". Whatever it is, I can dig it. I'm not alone in my attraction to this foursome from Melbourne. 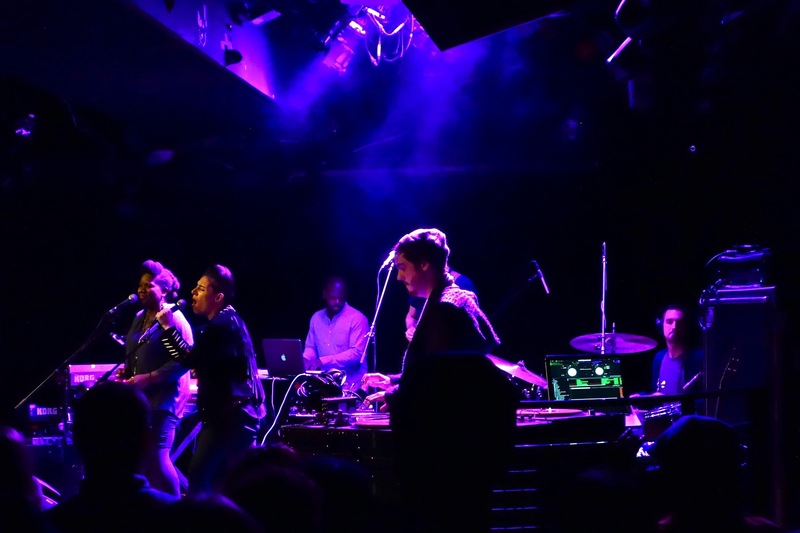 They are currently riding a wave of glowing reviews for Tawk Tomahawk, their debut album that dropped in July, and getting props from established artists like Questlove, Erykah Badu, and Flying Lotus. Shaped by the skilled guidance of Salaam Remi (The Fugees, Nas, Amy Winehouse), it is a stunning record that seamlessly merges the core elements of their influences into something fresh and exciting. Listening to it from start to finish, an easily achievable 35 minute commitment, reveals a young band uninterested in trying to fill old shoes and whose sound is anything but childish. Each song is like an aural kaleidoscope with colorful bits and pieces that remind you of something you've heard swirling among shifting ideas never recorded. 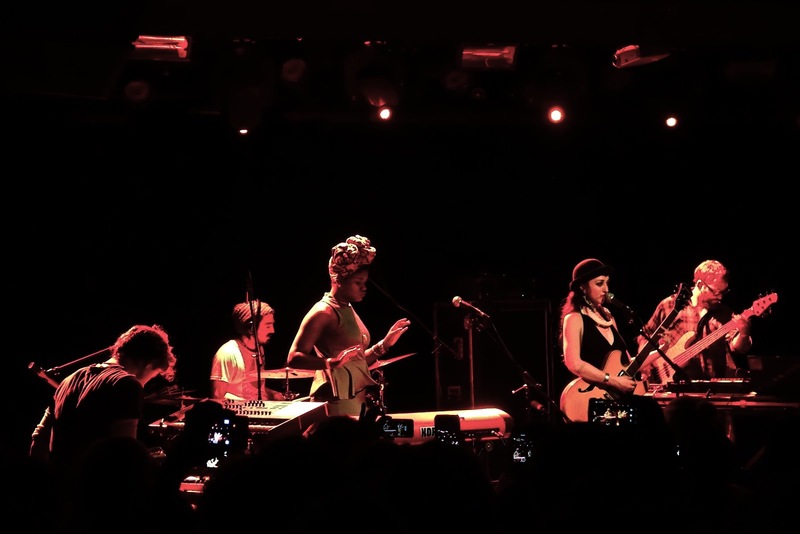 Nai Palm, the lead vocalist and guitarist, has not only been gifted with a beautiful voice, but an imaginative mind whose playfulness makes her delivery unique and authentically joyful. With her are a trio of talented young Aussies, all equally rock solid in their roles. Perrin Moss on drums and Paul Bender on bass combine to form the flawless backbone of their sound. 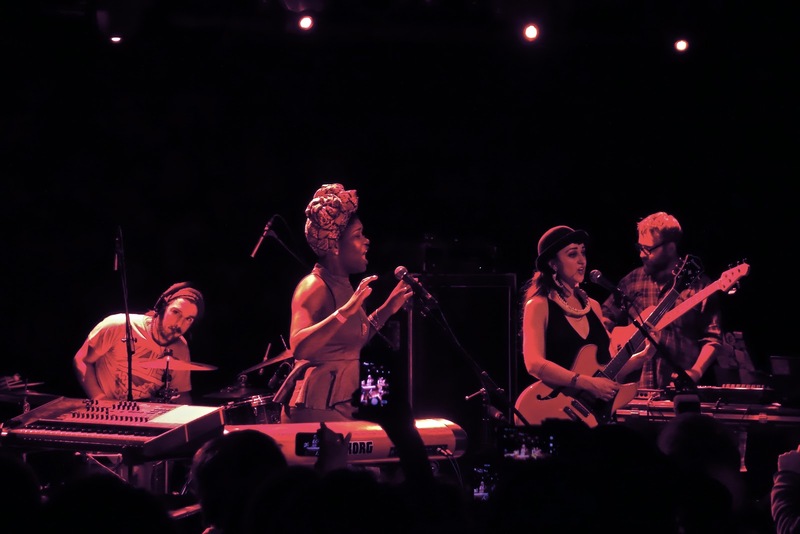 Steeped in funk, jazz, and hip hop, they lay a firm foundation for Nai's vocals, Simon Mavin's keyboard wizardry, and a variety of subtle embellishments like bird songs, chimes, strings, and harmonies. Can you tell I'm feeling them? My wife was hooked after her first listen, so she grabbed a ticket to join me in welcoming them to New York. 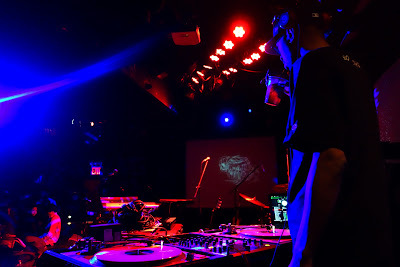 DJ Rich Medina was spinning a mix of classic funk when we descended into LPR. The sell out crowd was lively and diverse almost to a comic level. Settling in with drinks near stage left, we ended up standing between an Asian couple, a black hip hop head, a guy in a wheel chair, and a pair of white college girls. 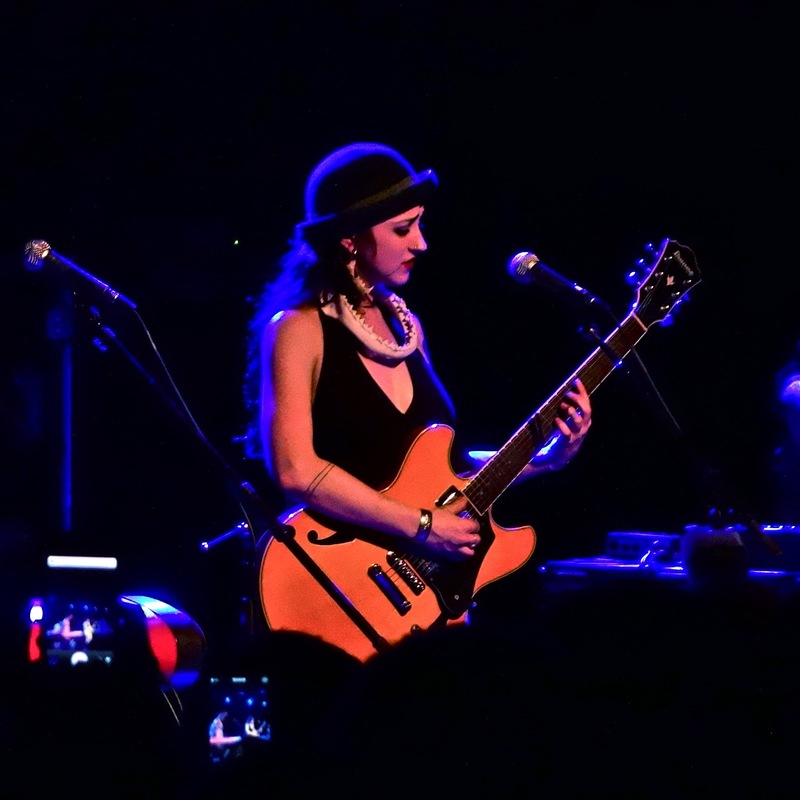 It was a strong indicator that Hiatus Kaiyote's eclectic sound appeals to a wide spectrum of music fans. Pretty cool if you ask me. 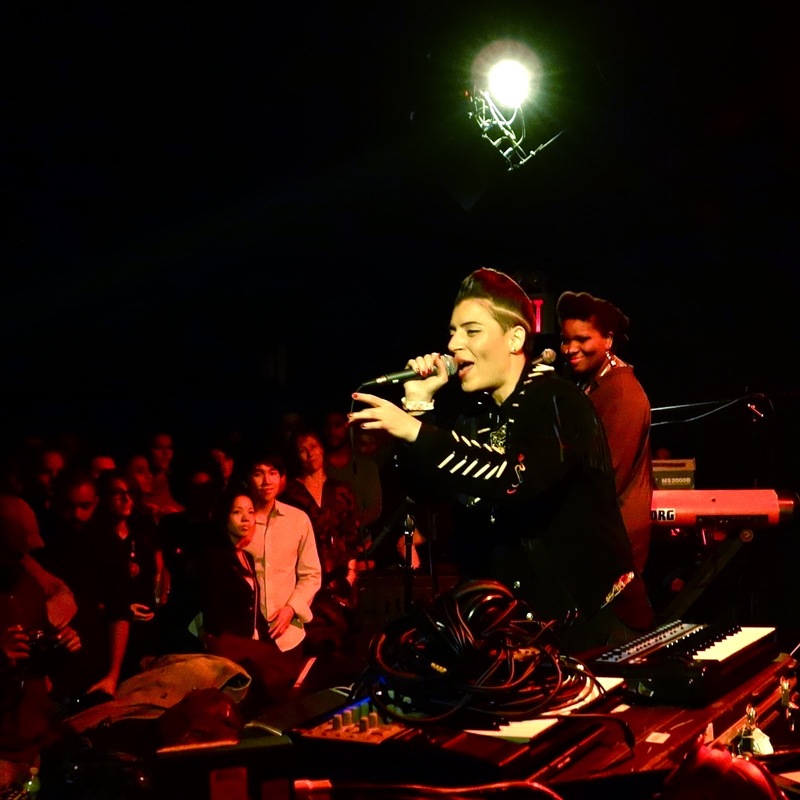 The first act of the night to take the stage was Emily King, a grammy nominated singer/songwriter from the Big Apple who has toured with John Legend, Gnarls Barkley, and Alicia Keys. Her seasoned performance really got the crowd going. The screams of approval between songs told me she had some old friends in the house and likely earned some new ones. Her sound was polished, anchored by a solid band and a strong voice. Need to check out her recorded stuff because her songs seemed perfect for autumn weekends in the big city. She also did a surprisingly effective cover of "Help" from the Beatles by reinventing it as a soulful folk ballad. Another thing that came through was her genuine warmth for the audience. Rarely without a smile, Emily's presence combined with her heartfelt lyrics made the whole place feel a few degrees warmer. 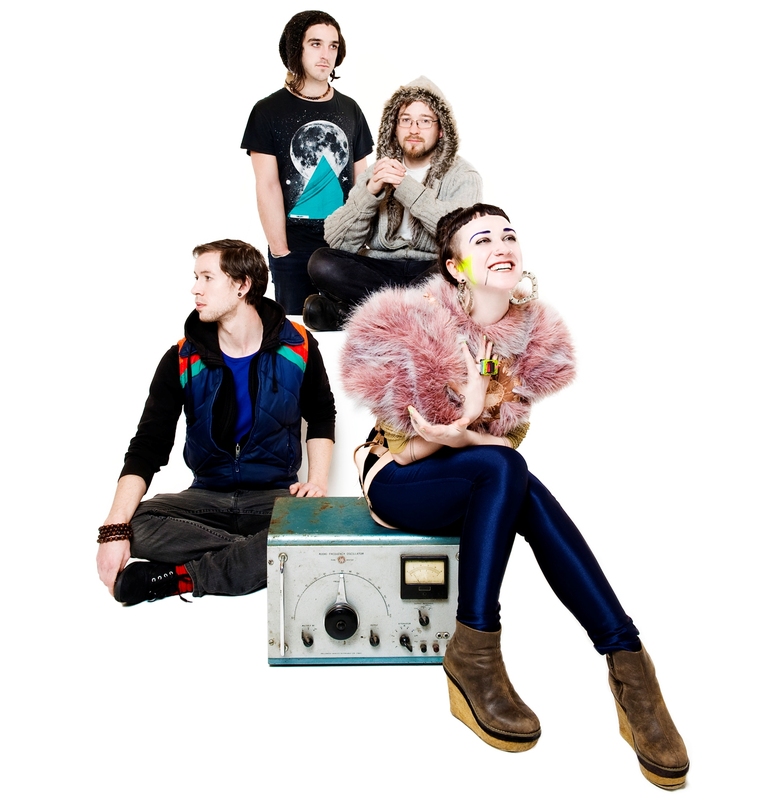 Things really heated up when Hiatus Kaiyote plugged in. For the first 45 minutes or so, they held the crowd in the palm of their hand. Highlights from their album, like "Nakamarra" and "The World It Softly Lulls", sounded even deeper and more magical in person. They extended the instrumental segments so they rode along much longer. HK were musical masseurs, relieving tension I wasn't aware I had walking in. 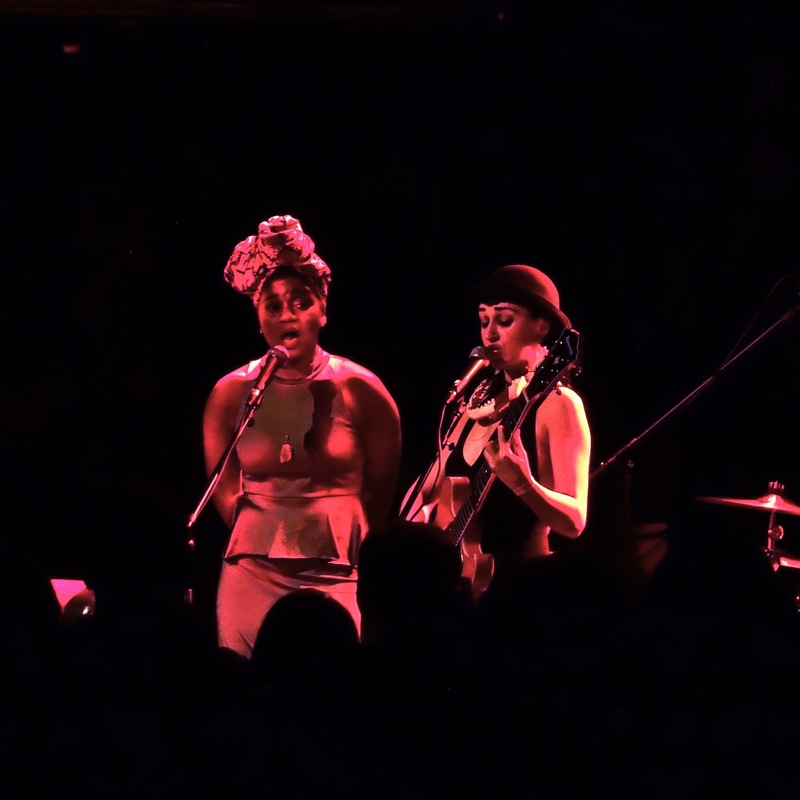 Like Emily, Nai's infectiously positive energy filled the place from front to back. Most of the crowd danced while they sang along, including yours truly. 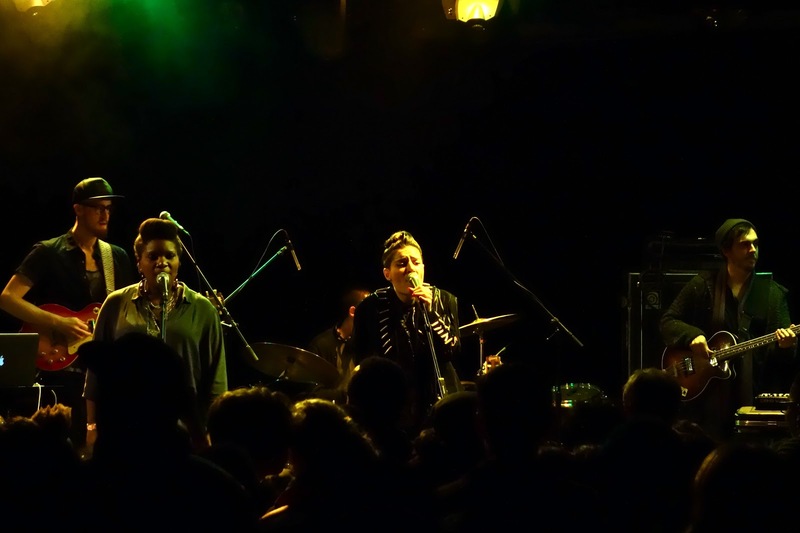 Their debut is highly recommended, as is catching them live when you get the chance.